Wagner Greenhouses produces young plants for growers nationwide. We are known for our quality and service and our products are available through the broker system. We invite you to ask your favorite broker and/or salesperson about ordering our young plants. Click here to view our broker list. Many factors come together to make young plants from Wagners so special. Our northern climate and state of the art structures help us maintain the perfect environment for our young plants. Our experienced growing staff works hard to build well-toned plugs with strong root systems and controlled top grown with minimal use of chemical plant growth regulators. Our shipping department works closely with our carriers to ensure product arrives on time and in good condition. Finally, our customer service staff works diligently to make sure your questions are answered, both before and after the product ships. 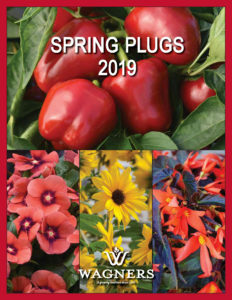 Young plants from Wagners are grouped into six different programs: Spring Plugs, Summer/Fall Plugs, Cyclamen Liners, Specialty Florist Liners, Cool Crops Liners, and Prefinished Cyclamen. 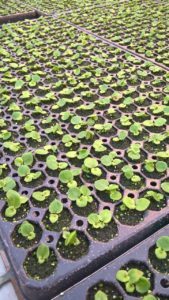 Spring Plugs include items used for bedding flat production, potted flowering annuals, hanging baskets, and combination planters. For Ball Rooted Cuttings, please contact your Ball Seed salesperson. 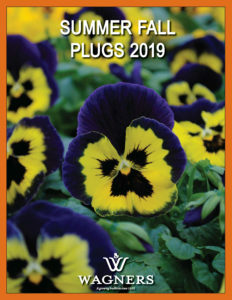 Summer/Fall Plugs include pansies and supporting crops for fall planting. Our Cyclamen Liner Program provides exceptionally well-grown cyclamen for florist pot and landscape uses. 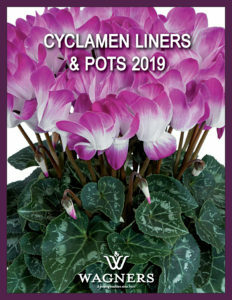 For growers wishing to reduce their finish times for cyclamen, our Prefinished Cyclamen make a great choice. 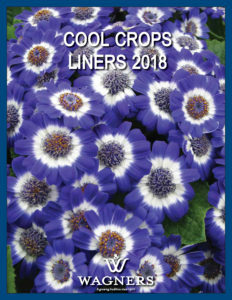 Growers can round out their florist crop programs with our Cool Crops Liner Program for cineraria, primula and ranunculus. 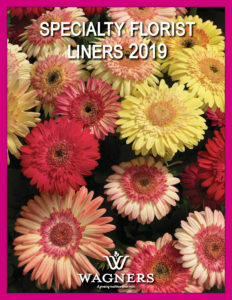 For the warmer seasons, turn to our Specialty Florist Liner Program, featuring gerbera, gloxinia, and ornamental peppers. Our young plant programs are outlined below with links to view the program as a PDF and/or print. Order Form PDFs for all programs are also available to download below. Click here to view our current Live Availability online. View Wagner’s Master Variety Listing for all of our varieties by tray size from all of our current programs.